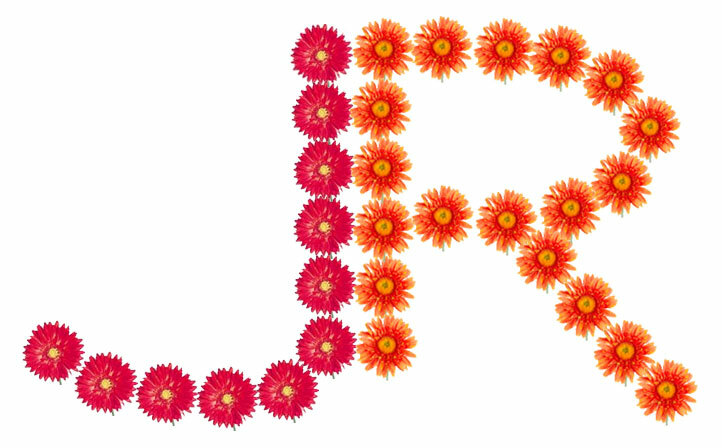 my big fat chinese wedding: To floral monogram or not? As I mentioned before I wanted to do a floral monogram on the church doors. But I slightly modified the design to make the letters wider to match the logo thingy that I designed. But is it too wide? And our logo has serifs but these letters do not, so does it even matter that I made it wider? More importantly, do gerbera daisies make it seem too casual? Will a white satin-like cloth in the background dress it up a little? I haven't finished your blog yet but I really hope you didn't use this since Chinese people ONLY use daisies for funeral-related things!